what difference a yr makes. Last year this time we had sailed part way down the coast of Cal. We were at the midway mark of northern and southern Cal. We spent the season in a little town called Morro Bay. I was just looking over my blog from that time. We arrived just before Christmas and had not really planned on spending the Holiday there, but due to the weather we had no choice. On checking the blog I see no entry for holiday season , just before and just after only. If I recall correctly we did have some electric problem at the Morro Bay Yacht club so no internet. Also the area must not have been impressive with decorations because I took no pictures of lights. There were some at the Yacht club we stayed at but as said , there was some electric issues so the light were off on the building. We did however have a decoration on the ZenCat which had forgotten. I remember we walked around town some, ate at some small local place , but mostly on the boat as we had to watch our cash flow. Our friend on our buddy boat had taken off for their family’s home for the holiday. Our plan was kind of if there is good weather we would leave to go more south. That never happened as we were hit with storm after storm while there. There were two other boats there with us during the holidays. One female sailor we did not really know or hang with and one other couple who we became good friends with later on when we crossed paths again further south in San Diego then Mexico. Life taken some interesting turns and changes with the people you meet, more so in water world. Funny did not even think about being in Japan this year for the holidays and was really in the moment of being there. It was not unpleasant, but not pleasant either. We were in a void there. Waiting for better weather and the Tao to say go. As it turns out it was good to wait as we had company all the way to LA once we did get under way. It was not all that pleasant of a trip it was good to have some company with more experience than us. Not that we had any danger or real problems, still it was over all nicer to have a buddy boat along for the moral support. Now we are in Japan, for the most part settled. With the events of the past couple of weeks, the passing of Nogami Sensei, who we would have most likely had not seen again if we had continued the sail from Mexico. Also with LZ’s mother going into the hospital it is fortunate we are here now to help. Otherwise I feel we would have been delayed in Microindonisa until spring which would have been a big problem. As it is LZ can pretty easily go help and take some of the strain off her sister, beside the stress of not being here when the illness happened and having to fly here to help. Anyway it all worked out for the best even with our lost. There is Yang with in Yin. With the new year ahead, year of the horse approaching, which is supposed to be a much better year for me, being born in Year of the Tiger, there are some positives opening appearing. It looks like my water world days will be re-starting. I have been offered a teaching position with Aoki Yachts. They will also give me a discount on getting my Japan sailing certificate which is needed here. This means I can not only teach sailing here but I can sail on my own if I am lent, rent or by a boat. I have heard of people getting basically free boats sometimes. Who knows as my connections increase what the tide will bring. The meditation class seems like with be a go for next year, even there is some interest in the Kung Fu class. This is a good thing and makes my spirit better. It will take some effort but i think i will be able to get the Tai Chi class in operation as well. I have found a place to teach it is a matter of raising students. LZ has found some local free Japanese classes in the area. This will be helpful not only for my speaking skill but for english speaking contacts, who may wish to take Tai Chi classes. So that could be a double benefit. We’ll see. I think I have found the secret for surviving the winter. Dress indoors like I am going outdoors in winter in Cal. Dress for outdoors here like I am going outdoors in Canada. Maybe not that extreme but, you get the idea. Key word…Layers! I received a call from Yamashita Sensei tonight. Well really L.Z. got a call. We missed the first call and he left no message. She thought it was nothing to important because no message. I felt uneasy. When she called him back he was gone and not home. She thought he was contacting me about the closing of the Dojo for the holiday. I thought it was something else. Something not so pleasant. I was hoping it was just about if I was going to be there before the end of the years session or meeting up with him after the New Year. This is what I was hoping, but I sensed something else. I had LZ. recall. again no answer, he was out, but she left a message. Yamashita Sensei called later this evening. I did not understand what was said,… but I knew it was not good. As I thought Nogami Sensei had passed away. It had happened last week on the 15th. I recall thinking about that time, on calling just to check in. 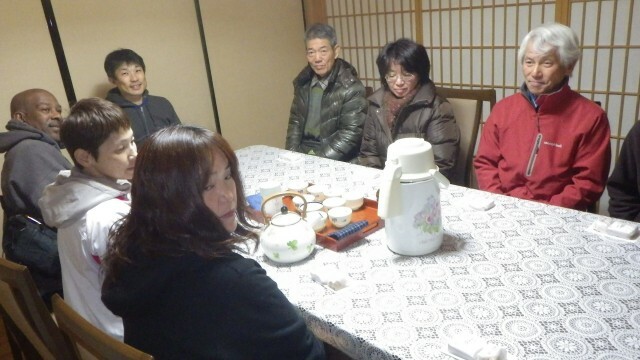 The family had kept it quiet for small family ceremony and Yamashita Sensei just found out about it as well. He knew Nogami Sensei and I had a connection, as Nogami Sensei had called him to help me at the new Dojo. So he called me. I am sad tonight, on one level, on another not. The lost of a great Sensei, I had wanted to see again is sad. The Zen thing about going to a more spiritual place, makes it not sad. 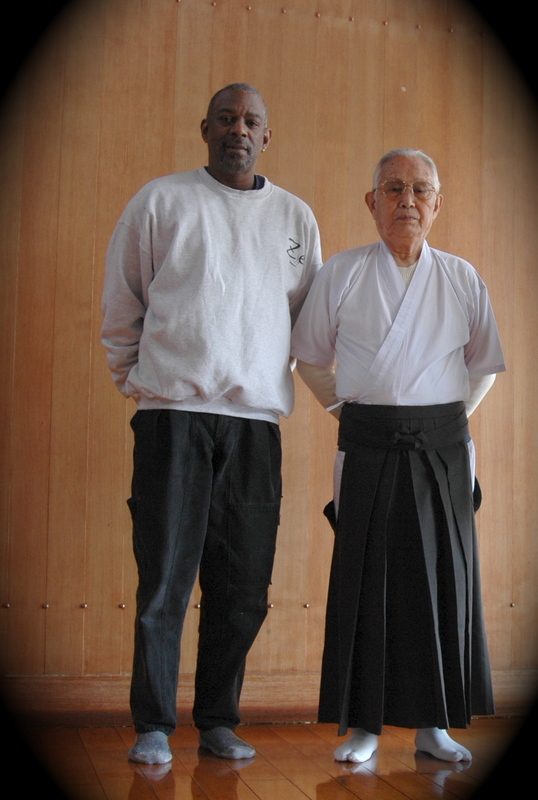 I am pleased and honored to have met Sensei and trained even briefly with him. With the warmth he carried in his heart and showed to his students I know his spiritual Karma carried him to a peaceful place. It is very fortunate that we did make it back to Japan in time that I at least got see him a couple of times. Also to see his pleasure that I was still training and his efforts and guidance was not wasted. With the rains upon us here in Osaka, I had not been keeping the two times a week Kyudo training I planned. With the rains and cutting back on spending, I felt i needed to go in on this Thursday past. I bit the bullet and rode the train. We had a little extra money come in and I spent less than my allowance. So I did a rainy day splurge and rode the train. It had been such a long time I got off at the wrong station riding the semi express I thought I past my station but no, I was off early instead of late. Anyway it was a good refresher on train riding 101. It was kind of nice walking in the light rain to the Dojo, the park is pleasant no matter the season. Different from the summer and autumn my last visits. So it was nice to see yet another face of the park. I also recall the common saying Japan has 4 seasons. Not that other places do not also, but for some reason Japanese think it is a big deal and that only theirs are four real seasons. No matter. I went to the Dojo, I got there just at lunch so basicly I was alone at least for a while. It always hits me as strange when I hear people talking and my name come up. Mostly because I do not think some people know my name, but then when I hear it used it surprises me. Speaking of which i just received my name tag for my Yumi when i leave it there at the Dojo. Kind of cool, really gives me that this is my home Dojo feeling. Anyway once the Senseis showed up again I recieved some pointers. I was dropping my daisan instead of drawing on the line of the ya, I was lowering it from Uchiokoshi to Daisan. Easy fix. The hard thing is still tenouchi. Even if I hold my hand and fingers correct I still can not get descent “spin”. I got a better one when I held my tenouchi wrong, l but now that it is mostly correct, the “yugaeri” (spin) is weak, very weak. Sigh. I have lossen my grip on the Yumi, because in order to hold it like I am supposed to my bones and joints do not bend that way. Unless I really relax my hand grip. Which seems weird but that seems to be the only way I can hold the fingers in the form, position I am shown. On the other hand , the looseness does not seem to be an issue with the masters. Part of the weirdness it is directly in contrast with what my ex-Sensei in Ca told me about keeping the inside line of my palm on the Yumi. Here basically the only parts holding the Yumi are the inside skin of the thumb and the two lower fingers, mostly the small one. I was told the thumb skin and the little finger act like the hing of a door letting the Yumi swing. The inside of the palm should not be touching the Yumi there is this space for the Yumi to rotate. However I do not seem to be able to generate enough power, force, energy to spin the bloody thing. If i twist my wrist I can get more , but I am not suppose to break, misalign the thumb wrist forearm straightness. It is a quandary. I will keep at it until it clicks. I guess it is on the line of my Kung Fu Shifu saying practice a kick or punch or whatever 1,000 times, you will get it. With the Bamboo Mantis Hidden Makiwara Kyudojo now operable I can practice here at home unless it is raining. I also now have a lighter Yumi for home practice. It is usable but does have a blemish, small surface slit, chip . It does not seem to be deep enough to cause a problem when shooting. Maybe I will see about having if repaired later, or just use it until it becomes an issue and then just get another. The people I purchased it from just put some tape on it. Which keeps one from getting a puncture, or cut or hand tear from grabbing it wrong. Anyway, it was only 8300 yen, and it had a numbers of bidders from the the 100 yen it started from. Anyway it works for my simple home practice setup. The lighter power works easier on my shoulder for long practice and the less penetration for the hay bale. Also being a namisun it is easy to handle around here in small quarters. It is also good timing to have the setup as I found out the Dojo will be closed from Dec 26 to Jan 12 for the New Year holiday. Therefore all my practice will be at the home dojo. Yokatta to have it! Also ready to go for the New Year 108! Yosh! BtW: doubtful if I will be posting again until after Christmas maybe even until after the 108, so Merry Christmas and Happy New Year from the Zen Clan. In the Zen philosophy, things are not good or bad, it is our perception of them. Like Monday is just Monday it is how we look at it that labels it good or bad. So with that thoughtall days are good…however some are better than others. A prime example is today. Several good things happened. Which was excellent because I needed some good things going down for a change.My Mother-In-Law went into the hospital a few days ago. The doctor gave her too strong a prescription. Lousy Doc. Anyway we find out today she is recovering quickly for the side effects of that, very quickly. Yokatta! Next I get an email from Aoki Yachts School with an offer for an instructor position! LZ and I had just discussed if it was going to be worth it for me to renew my certificates with ASA for next year, with no work in sight. Also I checked on the cost of getting a Japanese boating licen$e, again with no job, no boat, little hope that seemed a far reach. I did re-take on the mantle of Vice-Commodore for the International Yacht Club as a way to keep some interest, a toe in the water so to speak, active with Water world. Mostly I am working with developing their website and Facebook page. PR stuff still it is something boating related. Gives me some glimmer of hope to having a boat again. So the job offer was excellent news! yatta! I held my first Chan Meditation class today also my first Kung Fu class. Both went well. They were both introductory classes, but people turned out, a few but still some is better than none. The report from LZ is I got great feedback. Plus two students who could not make it today will be there for the start of formal class in January. Another Yatta! I feel like I have some worth again. My Christmas present to myself was a used Yumi, light draw strength. I wanted it for the Bamboo Mantis Hidden KyudoJo. Not as much power to overload the straw hay bale and my shoulder for the New Year’s 108 shoot. Now I can practice longer periods right at home. Then go to the Dojo to get serious for the Spring/Summer. I am still hopeful for the Oceanic event in April. If not June is my secondary goal. Anyway we went to a new guy, an old specialist LZ found. He reduced my meds and strength. My pressure was low. Maybe the steady meditation is paying off, better diet away from western foods and the bike riding, walking and daily cocoa drinks. Yatta. So it was a good day. I needed it. We celebrated before the doctors news, with eating at the mall where I held the classes. They have a food restaurant section. ( food court) Good shops from good restaurants on a small scale, reasonable prices. I had kitsune udon and some tempura veggies. Yum! Yes, some days are better than others. What I need now is to hook up with some musicians, that would be off the hook cool! This week was the one year anniversary of our leaving Alameda and the start of the Pacific Eco Passage . Looking back at times it does not seem real that we really had a sailing life. Lived on our own 30 ft boat for almost two years. Traveled down the coast of CA in the winter and stayed in Mexico for four months. Wow. Mexico was relaxing, but I recall always having the sense we have to move on. It was more comfortable at the hotel Marina, still I felt in a holding pattern. In hind sight the only thing I would have changed is leaving when we did. I felt the rush to get out there before we felt forced to spend the summer there with hurricane season upon us. What would that have changed, maybe nothing, maybe saved our boat or lost our lives, one never knows. The autopilot, still would have given out. The rudder perhaps would have still broke. We could have also run into worse weather. There were a lot of serious storms this year out there. Even some very experienced sailors we knew had issues. Then too some very novice sailors,more so than us, made the trip with no problems. Well, our “Karma” I guess. Not really the right use of the word, but for the lay folks it is understood. Another thing, with the the recent illness of my mother-in-law, if we had not been here now, by leaving when we did, would we have been here “now”. LZ was able to go help. Not so easy from out there. Then there is our home, we got a good deal on renting this house, in a affordable area and the kind of place we wanted. The last affordable place of this type in the area it seems. Sooo, there have been some positives out of the negative. The Yang within the Yin. 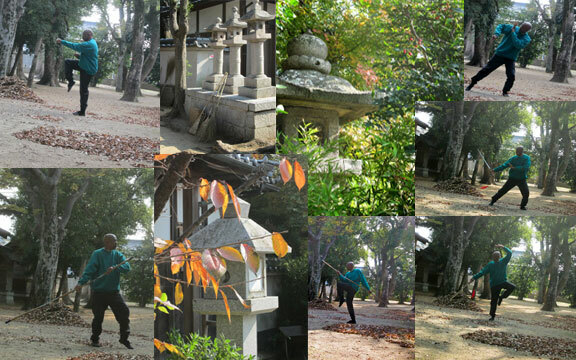 So yeah, more than just Kyudo, standing Zen, this Sat. past was pure Sitting Zen practice at the Merciful Eye Institute Zen Temple. It was not as cold I thought so that was nice. I thought there was no heater at all, last night someone dropped off an oil heater. It was not used but now I know that there is one available. I was ready though for the evening without it. Layers and my hoodie. That night there were nine people including Yoh Sensei. I was surprised at the turn out. It is easier after the first night to sit when one know the drill, so to speak. So as for my sitting, it was not so much a big deal,no mosquitoes. My issue for the night was my leg kept falling asleep after the first round of three. I have not had that happen before so it was a distraction and bummer. The third round time was not so much a concern, because after that one it is tea time. But after the second set, we walk. That was my concern trying to stand with a dead leg. Not good. I was able to ease into it and wake the leg up enough to get the blood/feeling back before walking even if I did let a few others start before me. The shoulder whacking seems to be on the second round of sitting as well. Even though was expecting to hear it, when it happened it startled me, with how loud it sounded. I passed on volunteering for the treatment, but several others I guess requested it, as I heard it several places around me. I do warmups before sitting so tension is not an issue right now. After the sitting we went to the tea room as usual. Tonight it was full. The head monk came out and spoke some, none of which i got , but in time. Again we introduced ourselves. Tonight I did my whole intro in Japanese even though it was brief. Sensei said I was much better. I did not think I was improved , just more relaxed enough to speak. I just laughed and said sou na! Little by little! There was a guy there who I bumped into sort of outside the toilet on break. He sat next to me at tea. He said. I am glad to see you. I thought we had met before at the marina. He said no. He had seen my picture on Yoh Sensei website. We spoke a little in Japalish. As it turns out he studied Karate and his friend, who was also there and last time studied Judo. We three had some common ground. The Judo guy is interested in studying some English he wants to do conversation in 6 months. i said ehhhh. How long have you been studying… Two months he said. Again I said Eehhhh. Sugoi musugashi. Anyway maybe i will get a couple of students for something out of this at some point.i need to put more effort into my language study here. Yosh! On the Chan side. I spoke with an elder sister in the States about my plan to start a class here. It was suggested that I contact the head of the US branch in Tawain and tell him of my plan. Then Shifu and he could bless the effort and class and help if I wanted. I was going to wait until it started, but decided to go ahead away. I sent him a email and the next day he answered. We had spoke briefly in Santa Cruz at a retreat when he visited, so we were already familiar with each others background. He also started Chan via Marital Art and came into Chan from that path. Anyway he offered me a list of assistance if I wanted it and approved my idea. So I have the blessings from the top to start a Heart Chan chapter here in Japan. I am not sure how/if it will work, but I will put it out there and see. Perhaps it will be of more interest to English speaking expats here who are not up to the rigors of Japanese temple Zen or do not “feel” it. Ether way, any students who want to study Martial Art with me, must learn the basics of Heart Chan as part of their Martial Training. There is no duality. On a side note. Today is the one year anniversary of leaving Alameda, CA. heading for Japan. So Yin, so Yang. It sometimes seems like when I check over my posts since coming to Kawaii-land, most of my post are about Kyudo. My blogs in the states I think had more substance, hmm more variety, maybe. I read bits of other expats blogs and they speak of misc, teaching of classes, interaction on the trains, at coffee houses, parties, travel, sake, dates, food. discrimination, not all though. Some speak of their home life and the kids, Kyudo, a little Buddhism, sailing, hikes ( that reminds me I need to add a links section to this blog, hmm maybe just a reciprocal readers links). I guess that really covers the whole living in Japan experience so there is really nothing new to speak of. Maybe my view is just a little different because of my age and background…maybe. Also since I do not get out much other than to Kyudo, the occasional trip to the marina, and Zen temple. I guess my writing is what it is…mine. Sadly a big part of that, getting out thing has to do with finance issues…the getting out part. It is expensive to take a train ride to Kobe to sit in and Jam with some other musicians, or to another part of Osaka to do the same. That would be interesting…and fun..I would love to, but…choices, priorities need to be made. My gardening stuff is limited with the weather change perhaps in the spring there will be more to chew on, (pun intended) with a bigger veggie garden and some cooking. I have done a few cooking tests here for breakfast items like, potato pancakes, fried potatoes with green onions, and stir fried rice-tofu both with garden herbs ( all frying is done with coconut oil). LZ loves it when I make breakfast. We do not have a real oven, so I am limited for now. We do have a small toaster oven and the microwave is suppose to be an oven type as well or something, but I have not gone there yet. Also, we do not really have a frying pan, We have been using a pot for frying. We lost our good cooking items on the boat. I do not want to buy an aluminum pan, I prefer cast iron However that is too heavy for LZ to use. Teflon I want to get away from and I hear some Stainless is questionable with using nickel in it. Sigh. We have found some good safe cookware however it is costly and will have to be eased into the budget for purchase as a life investment, as finances improve. There is a certain sense of peace and oneness to practicing outdoors at the shrine that is different from an indoor practice or a parking lot on cement…more Zenish. Mostly these days it is review, relearning, refreshing. I have forgotten more than I ever will remember. However what I do recall is quality stuff and my foundation is strong I believe. I do have some worthwhile skills to pass on. It was good planning on my part to make a video of some things I knew I would to need to relearn and keep. The issue now is finding students. We have researched enough to find a affordable location to rent on a by class/daily bases. Not far from our home next to our friend’s Yacht harbor, a bike-able distance. Biking has become a big deal in this new life. Now comes the task of finding interested students. The common way would be to flood the area with ads, not a option because that will bring us back to “dough” 🙂 Music people will get the pun. Living is Zen practice. It is not just going to a temple and meditating or sitting at home or some quiet spot. It is dealing with the everyday disappointments, it is marriage, relationships, jobs the having and not having. Sometimes dealing with them takes time, Buddha, sat for 49 days, Da Mo (Bodhidarma) for years it is said, Jesus went to the desert for 40 days to center, find a workable solution for his distress, unease. I recall seeing a cartoon on Facebook. Two monks a young one and a senior. The senior says; Your final test of enlightenment is forthcoming. The next frame shows the young monk sitting at a dinner table with his family around him doing their holiday gathering creating a mist of chaos. There is a saying, “practice” in the city is superior to “practice” on a mtn top. Mine in this case from the quiet practice of waiting in Mexico, then facing the vastness of the sea, the lost of Zen II, to the quiet Chaos of restarting life in another country…Zen practice happens. Suffering and practice can be the quiet pains of budget restrictions and limited food or the yelling of bosses and blasts of car horns, or the lack of movement on a windless ocean counting the days of water supplies, or the lost of dreams. The discomfort of legs while sitting is a small challenge compared to making it to the end of another day under the illusion we have some control over anything but our response. Dealing with the small discomforts, sitting Zazen, doing a Kung Fu form with all details in order, the small adjustments in Shaho-Hassetsu to hit the target, conditions one for the big ones in living. Zen is not being happy all the time or not being emotional or not expressing joy or sadness. That is not living that is death. Zen is understanding that one does not always hit the mato. When missing happens you recheck, adjust and reload, you do not blame the arrow or the target, you blame your skill. Which can be form to raise or formless to overcome and that can take some time…practice… and practice has many faces, but the same head. One does not live by Kyudo alone…when you see it as form alone. Kyudo like Zen is form and formless, Kyudo is Zen, Kung Fu is Zen, Zen is life, life is food, exercise, love, suffering, joy. Life is form and formless, in the practice of one, is the practice of all. Enriching one, enriches all.